The video games boosting company is helping Dota 2 players bypass the frustration and reach Divine rank quickly, reports heroboosting.com. “Simply put, Dota 2 is one of the most challenging games out there, and many players find it hard to advance past a certain level. The see their teammates insta-picking Invoker and Anti-Mage as they then proceed to feed the entire game. This makes it difficult to escape MMR purgatory, but we want players to know that our experts can help them get out of this situation. We’re here to give them a slight push in the right direction,” said Marcus of Hero Boosting. All of Hero Boosting’s employees are currently in the Top 50 of the Dota 2 leaderboard, which means they have what it takes to help customers achieve top rank. The company provides solo or party MMR boost so that both single players and groups can benefit from their services. In addition, they also provide boosts for calibration matches to help players secure a good starting MMR in every Dota 2 season. Customers looking for a quick Dota 2 MMR boost can chat with their booster live to give them instructions when needed. Additionally, Hero Boosting provides an easy way for them to manage their hero preferences and track their order progress and MMR gin per match in real-time. To help customers maintain peace of mind, every booster is well-trained on using VPN software to maintain integrity and privacy. 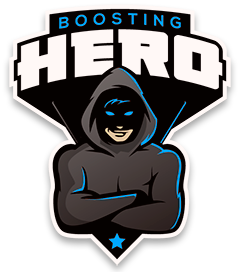 Visit www.heroboosting.com to learn more about Hero Boosting’s Dota 2 services and take advantage of their 10 percent discount with the code “SAVE10” today. Hero Boosting is a Dota 2 boosting service provider. Their team has been in operation offering boosting services for various video games since 2017 and has served over 2000 clients with their professionalism and expertise.